This is my first time posting about picture books! The reason being that I hadn’t actually picked up a picture book in years (the last one before this was probably The Wolves in the Walls). Having limited library access, limit funds, and no choice but to buy certain books if I want to read them means I end up using a “money spent X time I will spend with this book” sort of logic. So picture books, delightful though they might be, are neglected because they’re such quick reads. And unfortunately I don’t even have any young children in my life I could use as an excuse (not that I think there’s anything whatsoever wrong with adults buying children’s books for themselves, of course). What I had been overlooking was the fact that picture books are not meant to be read just once. I read The Lorax by Dr. Seuss, The Princess’ Blankets by Carol Ann Duffy and Catherine Hyde and The Girl in the Castle inside the Museum by Kate Bernheimer and Nicoletta Ceccoli last Saturday. Today I read them again, and I’m by no means tired of them yet. The last one in particular has art I could stare at for hours. Nicoletta Ceccoli is hands down one of my favourite illustrators, and I cannot overstate how much of a visual treat this book is. The story itself is a fairy tale about – you guessed it – a diminutive girl living in a castle inside a museum. Children go to the museum, look at the castle, and sometimes get glimpses of the girl inside and wonder what her life might be like. The story doesn’t go much further than this initial premise, but the thing is, it doesn’t need to. Because its power is in what it suggests. For me, what this story is about is the imagination, that sense of wonder and longing that are such a big part of childhood, of fairy tales and of storytelling itself. For more about this book, you can read Valentina and The Well-Read Child’s reviews. 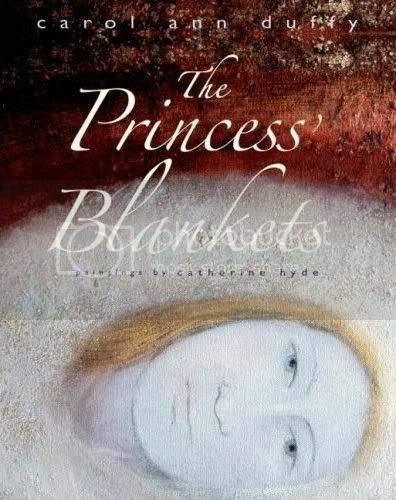 The Princess’ Blankets by Carol Ann Duffy and Catherine Hyde is the most “adult” of these books (by which I don’t mean it’s superior to the others, nor that children wouldn’t enjoy it). It’s also a fairy tale, this time about a princess who is always cold. It reminded me slightly of “Cold” by A.S. Byatt, and considering that’s one of my very favourite fairy tales, I mean this as a compliment. I read and reread the story many times until I saw it terms of atmosphere and colour. I wanted the mood to change like the seasons as the story progressed, so the paintings run from hot and bright to moody and harsh and finally to warm and sensual. She definitely succeeds in creating the perfect mood for this story. The Princess’ Blankets is a beautiful book. And did I mention the language? I haven’t actually read any of Carol Ann Duffy’s poetry, but after this I certainly want to. For more on this book, read Valentina’s and Joanne's reviews. And last but not least, there’s The Lorax by Dr. Seuss. I was convinced this was going to be my first Seuss, but this book actually felt very familiar. I think I vaguely remember there being a copy in my tiny but much loved elementary school classroom library. Anyway, as most of you probably know, The Lorax is about a greedy Once-ler who tears down a whole forest of Trufulla Trees to make Thneeds. 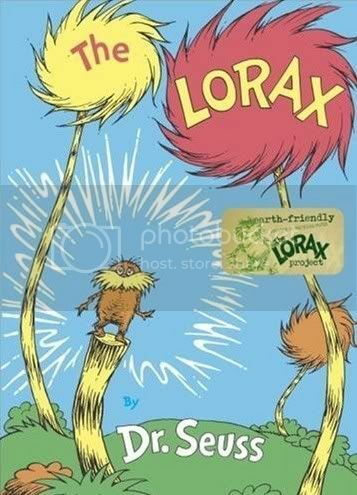 He is warned to stop while there’s still time by The Lorax, who speaks for the trees, but only too late does he realize that the ecosystem he destroyed was beautiful and unique. I think part of it has to do with his tongue-in-cheek tone. It makes the story light without undermining the seriousness of what he has to say. Secondly, he’s so up-front about it that you never get the impression that he’s trying to sneak something past his readers. So: I loved the story, the illustrations and what he had to say. But what made The Lorax really stand out for me was the language. It was such a joy to read. I found myself reading bits of the book aloud without even realizing I was doing it. For more on this book, read Debi’s review. Also, to read bout the very awesome Lorax project, click here. Picture books really can hold such special charm when done well, can't they? 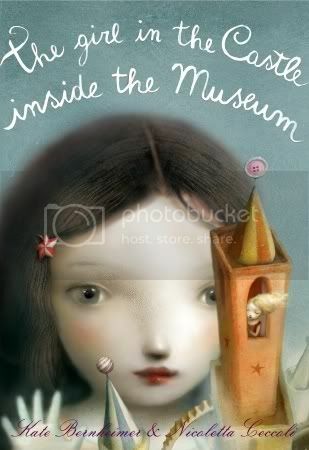 I really, really hope I can find The Girl in the Castle Inside the Museum...it not only sounds like the kind of story I absolutely adore, but I agree with you about Nicoletta Ceccoli. She is definitely one of my all-time favorite illustrators, too!!! I received The Girl in the Castle from Carl at Stainless Steel Droppings in one of his awesome free drawings. I agree with you about the artwork in this book. It's fabulous! Lenore: I'm glad to hear you're a fan too! Debi: They really can. And you know what they say: Great Minds Read Picture Books At The Same Time. Or Post About Them The Same Day. Or something :P Thanks again for The Lorax :D I loved it. Hi Ana:) I will look this bookup, you have such an awesome insight and talent for reviews, it is always a pleasure to read them. I heard the drawings are vey artistic and lovely. Nicoletta Ceccoli is amazing. I had a hard time parting with the giveaway copy I bought back when I had her work on my site. It is a beautiful book. Catherine Hyde's art does look very interesting. The cover, in its coloring, reminds me of some of the work of Terri Windling. I'll definitely be looking up her to see more of her work. Oh my gosh, the cover of The Girl in the Castle is absolutely beautiful. oooh, I love that cover as well (girl in the castle) and the premise! What was that YA book about the kids who lived in the museum? I love picture books! In fact, I don't read enough of them. If you want an amazing picture book, I suggest Shaun Tan's The Arrival. It's such a beautiful book with no words, but none are needed. Oh, and I love Nicoletta Ceccoli's artwork too. I've been wanting to read that one for a loooong time! My mother and I are always on the lookout for picture books for each other. My mom has quite a collection. I have all these great kid's books for my grandson. I hope he wants to read them when he gets older. The Girl Inside the Castle definitely sounds like one I would love; but he might enjoy The Lorax better. Dr. Seuss is such a kick. I've been wanting to order something by Dr Seuss myself, but have the same problem as you, I have to buy all such books and funding is limited. Thanks for letting us know about the other too! You got me reading graphic novels and you got me to look at art work in books so this is the next step! :-) Plus sitting down with a beuatifully illustrated fairy tale sounds SO comforting! I am a fan. I love the cover she did for PJ Bracegirdle's Joy of Spooking Fiendish Deeds. He won the cover artist lottery there! I love The Lorax! I don't read picture books very often but when I do they're from the library and have very pretty illustrations lol. Have you ever been to Lookybook.com? You can read a lot of picture books online there. I'm so glad you liked The Girl and the Princess Blankets!! I know some people find The Girl creepy but for me is one of those books that make me feel happy I own them so I can look at them any time I want and put a smile on my face. The Princess blankets made me want to read Ann Carol Duffy's poetry too, even though I don't read poetry since my school days. Ahhh...the pleasure of picture books! Wonderful reviews. I need to pick up The Girl in the Castle... and The Princess' Blanket to add to my collection for our Fairy Tales unit coming up in my classroom! The art/illustrations are beautiful! I have the same idea about money and terms of page length, so how long it will take me to read it. I have a few picture books, and I quite like them, but I haven't really broken my rule yet of buying them. Graphic novels was my first big step this year... Don't want to rush things! Madeleine: Aww, thank you. I actually felt a little awkward writing about these because I never quite know what to say about visual art. Thanks for the encouragement! bermudaonion: And it gets even better on the inside! Daphne: I can almost remember, but not quite! I also can almost remember the blog where I read about it...Darla's, Valentina's? I'll have to check. Chris: The Arrival has been on my wishlist ever since you first mentioned it. Thank you for reminding me! 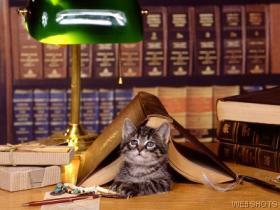 Literary Feline: How cool that your mother collects them! Framed: He really is. I wish I'd read them more as a kid, but hey, not too late. Amy: I really can see why. He uses language in such fun ways! Joanna: I'm thrilled to hear I encouraged you with graphic novels :D And yes, it was comforting and cosy and nice. Lenore: I hadn't seen that one yet, but I looked it up now and wow, it's gorgeous. 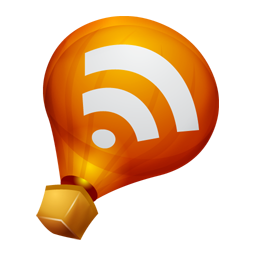 Ladytink: Thank you so much for the link! Valentina: Creepy? Really? I love creepy, but in this case I really can't see why. It made me smile too! Kailana: I started investing in graphic novels last year...it took me some time to get to picture books too :P So I have faith that you'll get there, lol. I will definitely be checking out some books by Ceccoli - her illustrations are gorgeous! I've used a painting of hers called 'Crows' as my computer wallpaper many times. oh wow, beautiful illustrations in 'The Girl in the Castle inside the Museum ', so whimsical. 'The Princess’ Blankets' sounds good too. And I love Dr. Seuss. It has been a really long time since I regularly read picture books, but the Princess Blankets really appeals to me. And the art is beautiful! Kate is such a lovely person! She had a workshop at a writer's conference I attended in Oregon about fairy tales. It was one of my favorites of the entire trip!